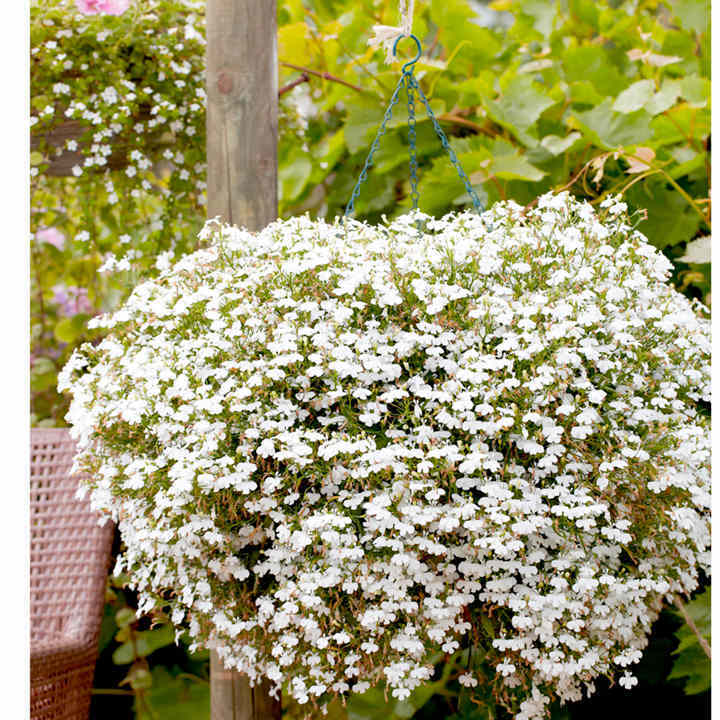 Either on its own or as a component of a mixed planting in baskets or containers, this dazzling white variety is a must! Ideal for colour theming. RHS Award of Garden Merit winner. Flowers July-September. Trails to 40-50cm (16-20”). HHA - Half hardy annual. Sow January-April to flower July-September. Planting space 15-23cm (6-9”). 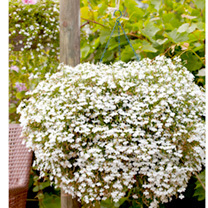 Ideal for beds and borders, patio pots and containers, hanging baskets. Prefers full sun or partial shade. Essential multi-use plants for the summer garden. Ideal for borders, baskets and tubs.